For the birds, we offer a huge THANK YOU! We had 61 individuals or families contribute $11,046 in response to our holiday mailing. We also had 11 individuals contribute $845 on the SD 1 st Day of Giving at the end of November. This is about 10% of what we need to move to the property. In “concrete” terms, this means pouring foundations for our first bird buildings! The board is moving forward at all possible speed, getting bids and contracting with a firm to do the work. Volunteers will put up the first building, which was constructed for us by the Box Elder Job Corps carpentry students in 2016. We look forward to seeing you at one of the upcoming events. And remember to bring your Family Fare grocery store receipts to any event. We are striving to reach $100,000 in receipts, which will earn us another $1,000. Be involved with us as we take flight! Step outside on a chilly January or February night. Wrap your coat a little tighter. And listen. 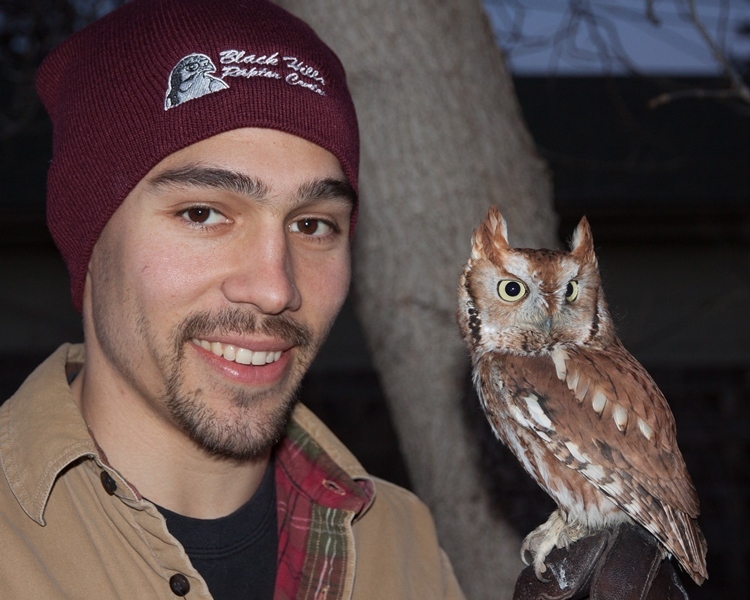 Listen for the sounds of a pair of great horned owls in their courtship and mating rituals. Their hoots create and maintain a pair bond. They are preparing to nest, incubating 1-3 eggs in the coldness of winter, so their chicks will be hatching about the time the first crop of baby bunnies is being born. 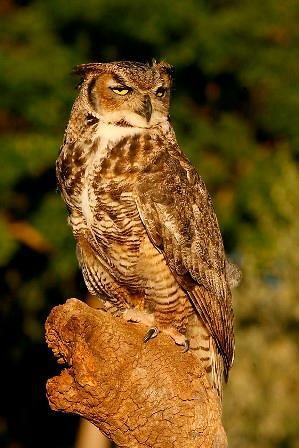 The great horned owl that was one of the founding raptors of the BH Raptor Center was named Icarus. She was a partial wing amputee that came to us as an adult. Because she had 10 months of daily human contact prior to being brought in (to a now defunct rehab organization), the decision was made to ask her to be an avian ambassador. She did admirably in her role. Icarus passed away of old age in October of 2016. 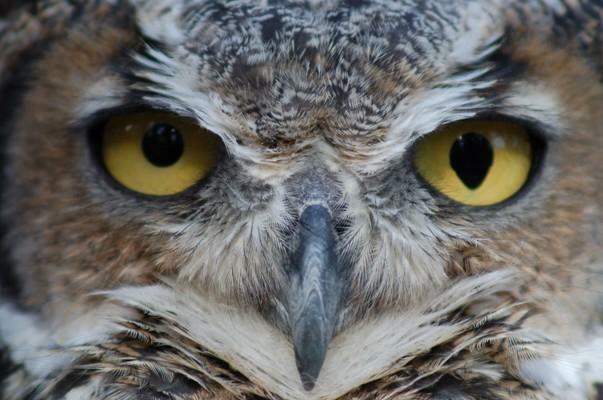 Another great horned owl will not be part of our ambassador group until we have the new facility up and running. Until then, we listen for the hooting of the great horned owls on the coldest nights of the year. 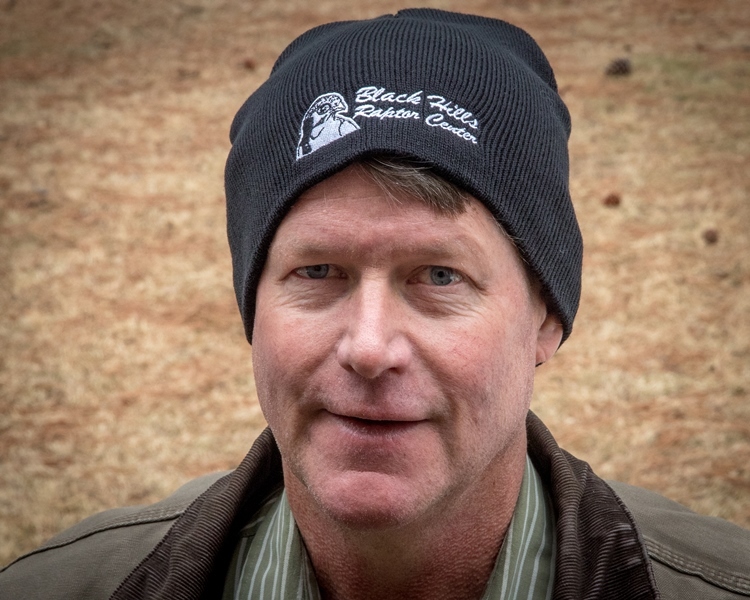 Show your love for the BHRC with a mid-weight stocking cap. They come in maroon or black. Every penny goes to help the avian ambassadors educate about their role in the natural environment. (Sorry, screech owls not included with the caps). You can save yourself the shipping charge if you are the Black Hills area…stop by the booth at Birds and Blooms on Jan 19, or the Black Hills Sports Show February 8-10 and get one in person! ﻿ Saturday, 1/19/19 - Join us for Breakfast with the Birds at Calamity Jane's Winery and Mercantile in Custer . February 8, 9, 10 - Save the dates! We will have a booth at the Black Hills Sport Show. Look for us upstairs, plan to stop by and learn more about what we are up to. Please forward this on! AND PLEASE share this on social media, simply click icon below so all your friends and family learn more about our lovely birds. Thanks!